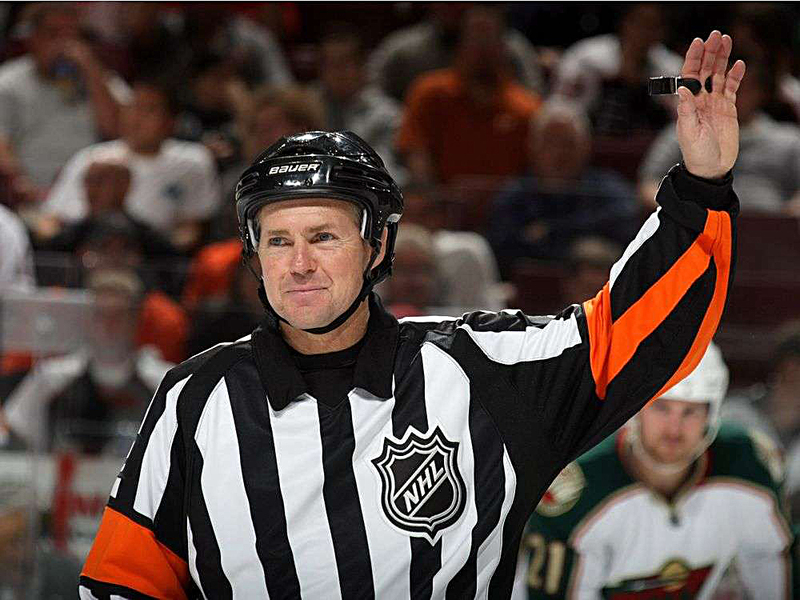 The NYHL had the opportunity to sit down with retired NHL referee Kerry Fraser. During his time in the NHL, Kerry officiated over 1900 games including over 260 playoff games and 13 Stanley Cup Finals. He was also selected to referee in the 1998 Olympic games. The NYHL would like to thank Kerry for his time and insights. Read his Face to Face interview below! My father was officiated a competitive industrial league and had me come out on occasion to drop the puck. I played AAA all the way up to midget in the Sarnia area, and was an aggressive player. I was very courageous and fearless as a player. After I finished playing junior Ted Garvin approached me and recommended I try my hand at officiating. I had a good knowledge of the game and decided to give it a try. I went to a referee school in Haliburton and after completing the school Frank Udvardi approached me and said he liked what he saw from me and was going to try and get me into the NHL camp a few days later. As luck would have it, I got the call and was at the camp. From there I was assigned to some NHL and AHL preseason games as a linesman and shortly after that I worked in the IHL and CHL as a referee. I was sent off to the Western Hockey League to work and worked throughout all their playoffs and was selected as their representative to work the Memorial Cup. I had a real love for the game. I loved the fact that I had the ability to make a positive influence. The time I spent away from my family was extremely hard. The other dislike I had was all the politics from management. How you can make a difference. The whole Tyson Nash vs Theoren Fleury incident discussed in my book, and how years later Tyson explained to me how that particular moment was life changing for him really touched me emotionally. Absolutely! Every person has to have values that make things better and keep integrity not only in the game but in life as well. Colorado versus the Minnesota North Stars. I loved working in Montreal. The old forum was a hockey shrine. One of the best games I ever worked was there in 1985 during the battle of Quebec with the Canadians versus the Nordiques. My family. I have seven children. With the recent Winter Olympics that took place, you were fortunate enough to participate in the 1998 Nagano Games which were the first to feature NHL players. Can you describe that experience? It was a world class event. It was great to experience a different culture. They treated us absolutely amazing. The personal recognition from the Japanese fans to us older people was awesome. You were lucky enough to officiate in the 2010 Winter Classic in Boston. What was that like? My whole family was able to attend. We got into Boston a couple of days early and were out walking around one day. All of a sudden a family snowball fight broke out. It was a great family experience. The day before the game the entire family was able to go for a skate on the rink at Fenway Park. On game day we got dressed in the umpire’s room. As we walked out of the tunnel, all I could think about was all the great ball players that had done the same walk. As we exited the tunnel, the air was fresh and brisk and the fans erupted. I instantly became a kid again. With over 2000 NHL games under your belt, who was the classiest player or coach that you came across? Pat Burns was demanding but extremely classy. He realized that honest mistakes would be made. Doug Wilson was also a much respected low key person. Igor Larianov was one of the classiest players I ever shared the ice with. Knowledge of not only the rules, but how to deal with people in emotionally charged situations. You also learn how to self reflect. You have to be able to recognize your flaws. You have to have honesty within yourself and be able to ask yourself ‘is there a better way I could have handled situations?’ It also teaches you the ability to communicate effectively and how to manage not only your emotions, but others as well. Understand your role within the game and how you can make it better. It is your job to not only know all the technical aspects but also to provide a safe playing environment for the participants. Parents must understand that they are role models. Their conduct is viewed by young participants. Always remember to look at the bigger picture. Thanks to Kerry Fraser for his time! We’ve had Face to Face chats with all sorts of interesting hockey folks! Read all of our interviews .